From virtual obscurity, Tasmania has emerged as one of the world's premier links golf destinations. The combination of Barnbougle Dunes and Lost Farm on the mainland with Cape Wickham on King Island is a treat for all genuine golf lovers, and an unbeatable combination of great golf courses and wonderful scenery, with the laid-back nature of Australians from our southernmost state. Planet Golf can help organize your golf tour to Tasmania, or provide advice on private plane charter companies and non-golf attractions. Packages can be arranged in combination with the Melbourne Sandbelt, New Zealand or other golf destinations from the region. King Island & Barnbougle Dunes Packages by Luxury Private Aircraft - 2 Day Packages from $935! In the shadows of Australia's tallest lighthouse and on the northwestern tip of remote King Island, sits Australia’s most spectacular golf course - Cape Wickham Links. Designed by Mike DeVries and Planet Golf's Darius Oliver, Cape Wickham opened in 2015 and was ranked #24 in the World by Golf Digest Magazine that same year. 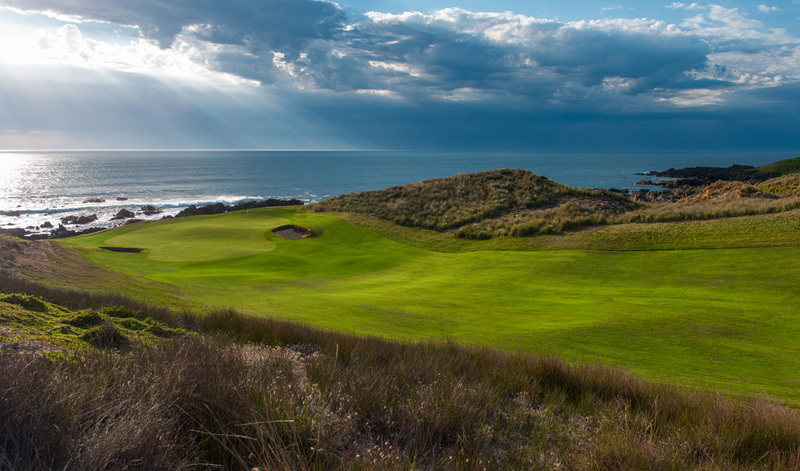 It's a rare treat for the golfing senses, and the experience of King Island is also unique for its delicious produce (primarily beef, seafood and award-winning cheeses), as well as its fascinating maritime history, world-class surfing and acres of secluded beaches. 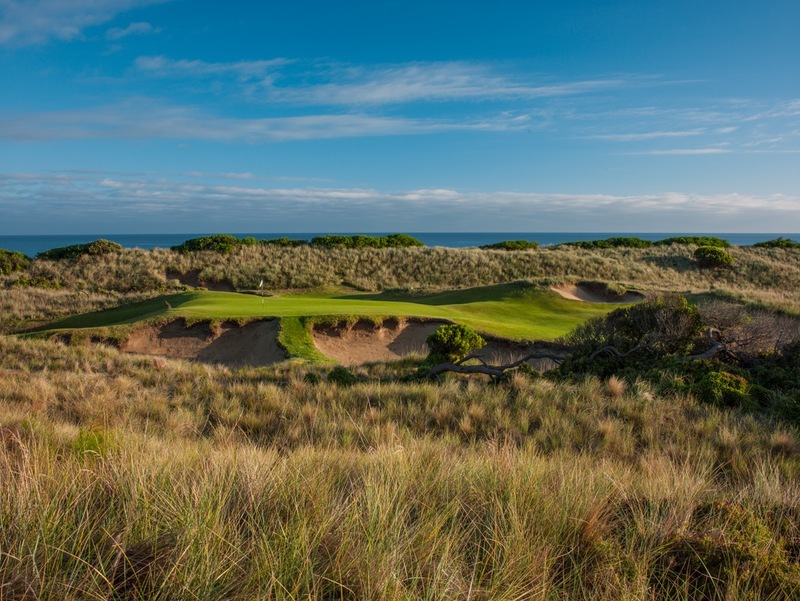 The course that established Tasmania at the forefront of golfing tourism, Barnbougle Dunes was designed by American Tom Doak and for more than a dozen years has lured golfers to the northern coast to experience the joys of genuine links golf. While the entire experience is authentic and high quality, holes like the 4th and 7th alone make this is a destination of the highest calibre. Whereas the 4th is a drivable par four with imaginative bunkering and a receptive green site, the 7th is a truly sinister short par three with a tiny, tabletop green. Both are unforgettable. 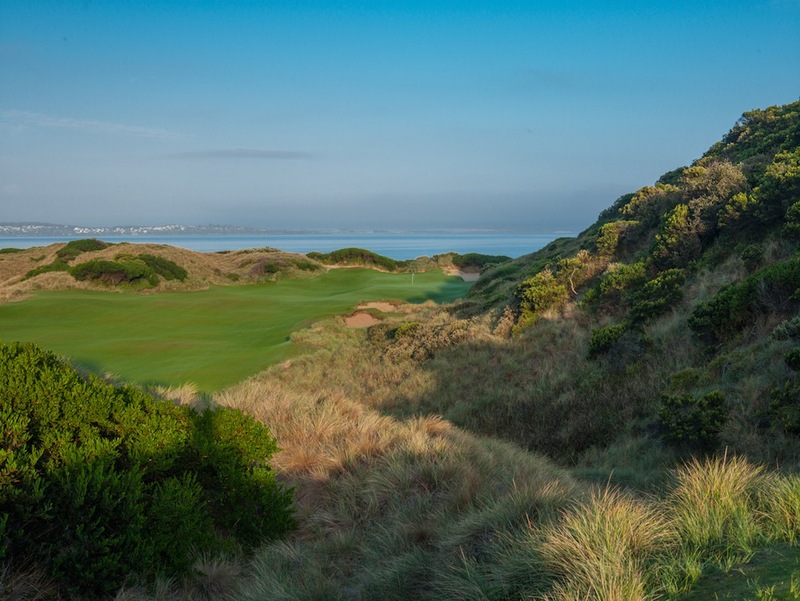 Designed by Bill Coore, the younger sibling to Barnbougle Dunes is an equally memorable experience for its 20 original holes and beautiful coastal dunescape. The flatter holes through former farming ground are cleverly designed to provide a range of shot options, while the more glamorous areas are renowned for both their sea views and their distinctive golf design. The strong par four 5th and drivable 14th holes, in particular, standout as truly world-class.